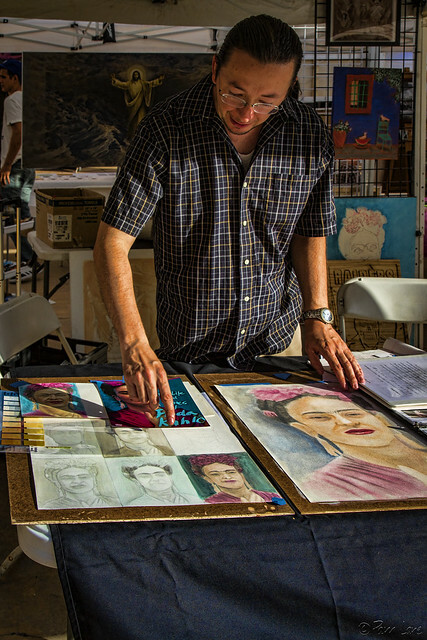 Today was the first Stardust Art Festival, a celebration of art, film, space combined with a celebraton of Downey’s 60th Anniversary. The Downey Arts Coalition and the City of Downey presented free movies provided by GlennFest Film Festival. The Aerospace Legacy Foundation presented a panel discussion about Downey’s role in aerospace history. 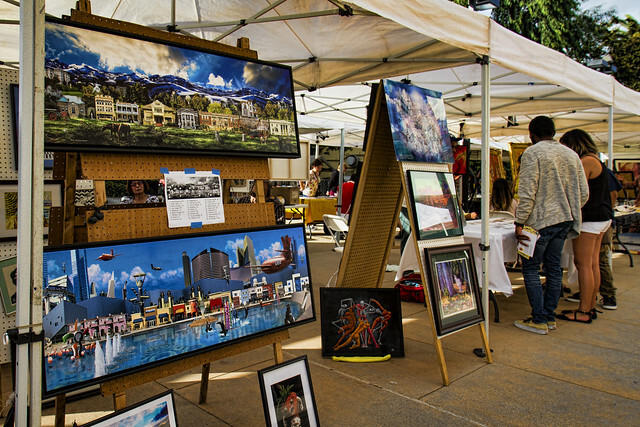 And of course there were artist booths on the plaza, live music, food trucks, and a special art exhibit in the theatre lobby. As always, I was drawn first and foremost to the photographers. There were some amazing photos of Yosemite, one of my favorite places to photograph. And the most intriguing booth, to me, were the painting classes offered by Sal of Da Sal's Arte. With his step-by-step instructions, you can start at whatever level you're at—whether it's a tracing of the picture you're going to paint so you don't have to stress over getting the shapes right, or free-form if that's what you're ready for. Maybe something even I could manage! You're welcome, Sal, it was a pleasure chatting with you.